Wowsa! 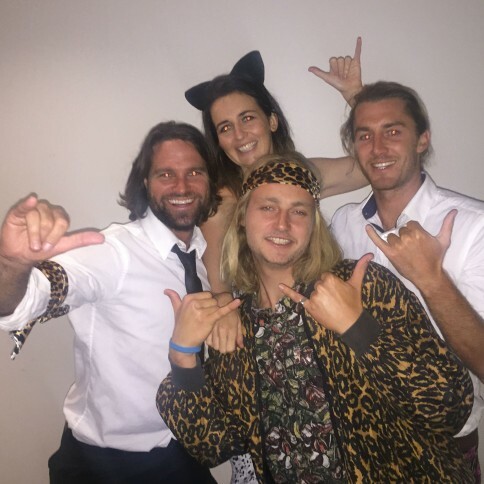 The Lets Go surfing Team had one heck of a fun filled day which was action packed with a surf lesson down at Bondi and then The BOA ball at Taronga zoo. Instructors Dom, Conrad and Blake A.K.A “The Dream Team” took the delegates from the tourism event WYSE surfing in clean 2 foot conditions. Dom pointed out the rips and sandbanks instantly enlightening the team with some important beach safety knowledge. Blake and Conrad then taught the crew how to pop up on the board, then it was time to hit the water! The lesson was a success as all participants were up and standing and riding the waves into the shore! It was such a blast! After wrapping up the lesson the boys had no time to waste and whacked off their wet wetsuits and whipped on their party pants and headed to jungle themed BOA Ball at Taronga Zoo. Lisa, Dan, Conrad and Blake got the chance to hang with Travel Industry royalty meeting people who work in hostels and tour companies all round Australia and the world. After busting out some animalistic moves on the D -floor the crew ended up the night at the Sidebar after party. The LGS team had an epic day and can’t wait to attend the next tourism event!